Start right away by entering your age below. Shopping for car insurance can be a hassle. Make sure your hard earned pounds are spent well by using our site to find the best rates on auto insurance. Car insurance is a legal requirement, but that doesn’t mean that you can’t make it work for you. Looking for Very Cheap Car Insurance: What Information Will I Need for the Application? Details of the car, including manufacturer, type, and any modifications to the car. The car’s number plate is helpful, but not needed to get a quote. License information, including how long you’ve held your license and the details of any points or disqualifications you’ve had in the past five years. Your No-Claims Bonus details from your previous insurer, if you have one. Details of any claims or accidents in the past five years. Information for any other drivers, such as a spouse, or children. Law requires that anyone driving a car has that car insured. Driving without insurance can result in a fine of up to £5,000, and can also result in disqualification. Learner insurance provides cover for individuals learning to drive in a car of their own or someone else’s. Business insurance is needed to cover your car for non-domestic use, including driving somewhere other than your regular place of work. 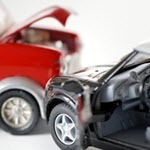 Multiple car insurance provides a discount for insuring all of the cars at your address with the same company. Data driven car insurance utilizes an app on your phone or a device in your car that monitors driving data that is used by the insurance company to set the price. Temporary insurance provides cover for one to 28 days when a short term solution is needed. Classic car insurance is specialized for display and collector’s cars, and may apply to cars older than 15 years. Specific types of insurance also exist for vans, 4×4’s, campers, and more. What are the Different Levels of Car Insurance? Third-party – meets the minimum legal requirements for car insurance and protects drivers from damage caused to another’s person or property. It does not give cover for replacement or repair of your car. Third-party, fire and theft – provides the same cover as third-party insurance but also covers replacement or repair if your car is damaged in a fire or stolen. Comprehensive – the highest level of protection, comprehensive insurance covers you, your car, as well as other people and their property. What is the Best Type of Car Insurance for Me? Savvy car insurance buyers look for the best combination of cover, extras, and price. You shouldn’t purchase more insurance than you can afford, nor should you purchase more insurance than you think you’ll use. Our in-depth guides can offer more insight into the best car insurance for specific circumstances. Different insurance companies offer a variety of discount programs and incentives. However the most common way people save money on car insurance is with a No-Claims Bonus, or NCB. 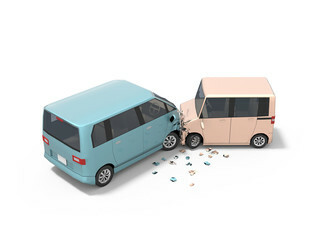 An NCB provides a discount each year someone does not make a claim against their car insurance, with most companies providing the greatest discount at five years, but others going even further. What Level of Car Insurance is Right for me? Different drivers need different levels of car insurance. The best level of car insurance depends on someone’s budget, how much they rely on their car, their driving history, and the risk of theft or fire damage. For example, individuals who drive their car, but also bike or take public transport for travel may not need comprehensive insurance. In the same way, an individual who relies on their car for transport and cannot afford to replace it, or who doesn’t want to incur the cost of replacing it, may favor comprehensive insurance. Our in-depth guides have more detailed information regarding the best level of insurance for specific circumstances. What should I look for when choosing a car insurance package? Different drivers may benefit from different types of insurance. For example, some drivers may save more with data-driven insurance policies, while others will be better served by a traditional policy. Drivers should determine how much protection suits them. Those who drive only for fun might find that third-party insurance fits their needs, while those who depend on their car for their livelihoods might favor a comprehensive policy. Drivers should ensure that their insurance package doesn’t cost more than they can afford. Different insurance policies provide different extra features. For example some may cover costs for letting a car if yours is damaged, and others may offer additional insurance to help with legal fees not covered by the standard car insurance policy. Several factors go into how much you pay for your car insurance, but many drivers are unaware that one of the largest of those factors is where they live, and premiums differ not only by the city but also by the specific postcode. The Daily Mail recently revealed exactly where people are paying the most for their car insurance and the least, and the differences are shocking. For example, people in the neighborhoods surrounding James Turner Street in Birmingham pay an average of seven times more for insurance than drivers living in Aberdeen pay. The driver of a BMW 3 Series in Birmingham pays an average premium of more than £1,100 while a similar driver with the same car pays only $157 in Aberdeen. Finding cheap automobile insurance quotes is not difficult. Although one of the primary factors that determine the rates you pay for car insurance is where you live, it is possible to lower your price below the average by taking advantage of a few simple guidelines. Reduce the distance you drive. Most insurance companies will ask you how many kilometers you drive in a year, and some will even check the odometer in your car for verification. 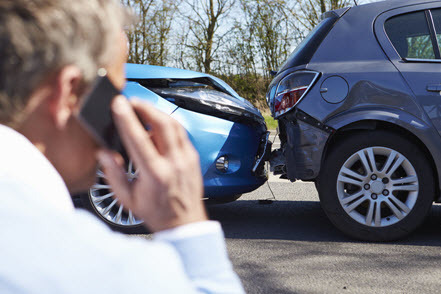 Insurance adjusters umderstand that you can’t crash your car when you are not driving it, and they will give you a discount for driving less frequently. A couple of ideas to help you drive less are to share rides to the job with coworkers or use another form of transportation several days each week. Change the car you drive. 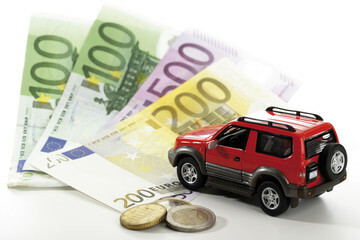 – Car insurance companies are in business to make money, and as such, their rules are always based on risk assessment and the numbers associated with various specific elements, such as how often different makes and models of cars are involved in accidents and the average of amounts of damage in those accidents. 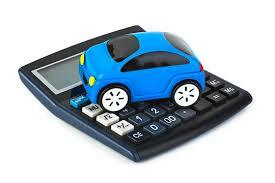 It is a fact that some cars are less expensive to insure than other are. According to The Telegraph, cars that carry the lowest insurance rates include the Toyota Aygo, Fiat Panda and VW Up. Keep your car off the street overnight. Although the postcode of your primary residence plays a larger part in how much your car insurance will cost, insurance companies also take into account where the car is parked overnight. 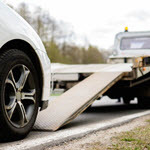 If it is parked on the road, the risk of it being stolen or damaged by another person or vehicle is much greater than if it is kept in a garage. Increase the excess on your policy. 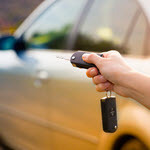 When you purchase a car insurance policy, several options for coverage are available. Should your car incur damages for covered losses, you will be paid to have those damages repaired. However, you can choose an excess amount that you will pay yourself before the insurance begins to pay. If you choose a high excess, your insurance premiums will be much lower than if you have a low excess or no excess at all. Add a driver with more experience to your insurance policy. 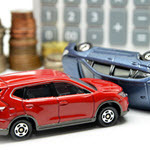 In addition to the specific car that is insured and where it is driven, insurance companies also take the driver into account when determining the premiums due on a policy. A driver with very little experience or with a bad driving history will pay a higher premium than an experienced driver with a spotless history does. Naming an experienced driver to the policy of a driver with little or no experience can lower the cost of insurance. Shop around for a different insurance company. As stated above, insurance companies exist to make money, and helping customers is secondary. Insurers know that drivers often stick with the same insurance for years on end or even for their entire lives, so they keep prices high for long-term customers while new customers are likely to be offered better deals and incentives. There are many types of insurance to cover all your needs. Some may be looking for cheap auto insurance for young drivers while others may need a motorhome insurance. Click on any of the links below to learn more about a specific insurance type.